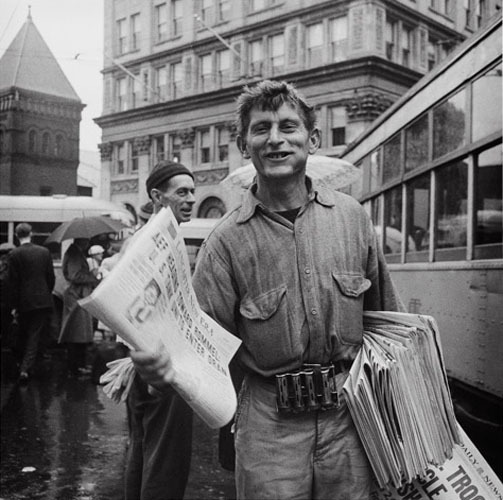 Newsboy at Center Square on a rainy market day. Lancaster, November 1942. Marjory Collins.